I spent last weekend flying to Washington DC to check in with our Sweet Dog Son. Despite the many communication technologies available to me, there is no substitute for seeing my son Jimmy, waiting at the airport wearing in his suit and tie. His joy did seemed short lived when I got out at the wrong subway stop and lost my ticket. I always carry his birth certificate with me so he can not deny that I am his mother. 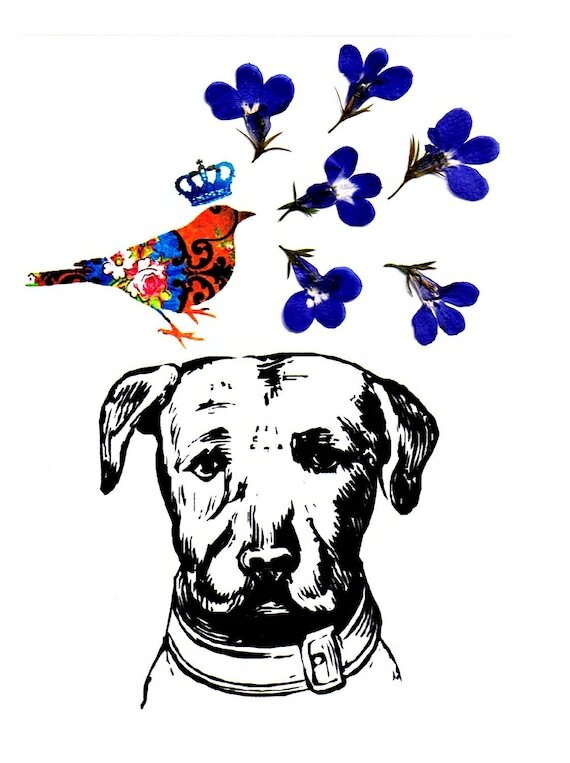 In celebration I am sharing a few Etsy Finds that you can give your loving Sweet Dog(s) this month and all year long. 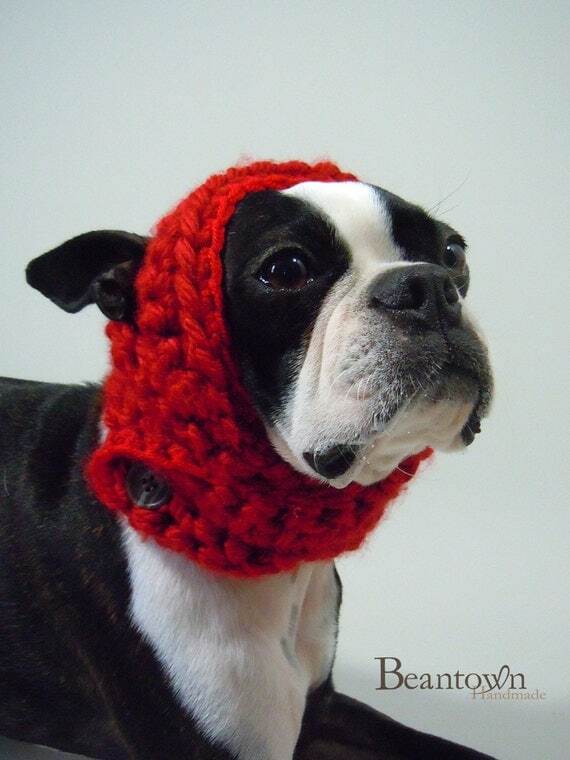 A fantastic Red Baron Hat from Beantown Handmade. 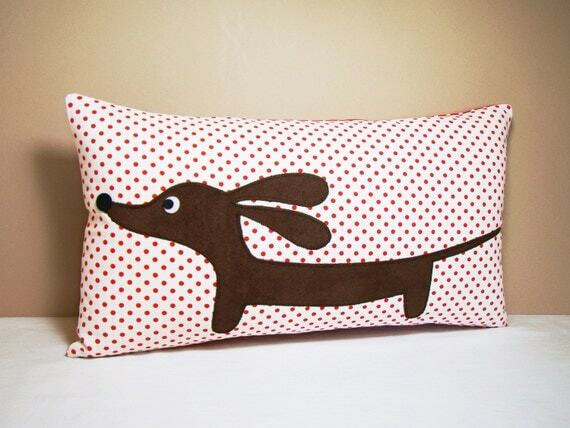 Doxie Sweet Cherry Dot Decorative Rectangular Dachshund Pillow from the mother and daughter team at Persnickety Pelican. 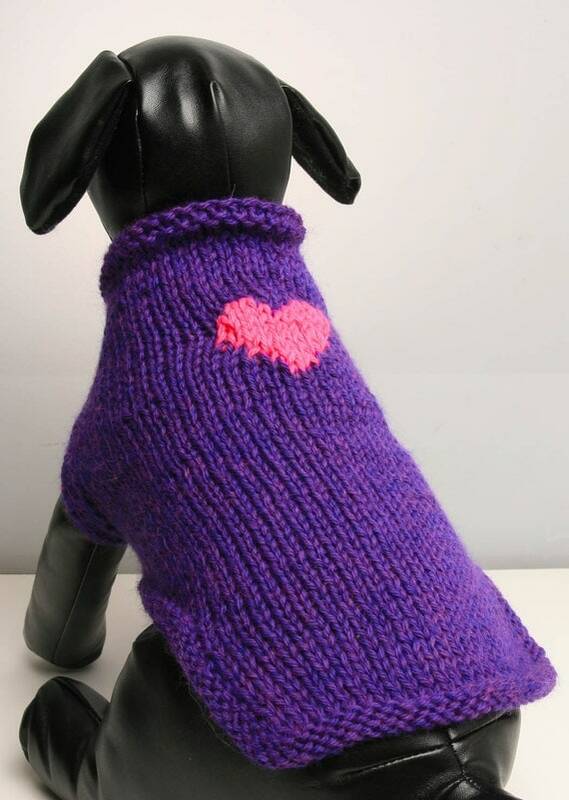 The amazing Sweetheart Dog Sweater from the Kitty Bitty. 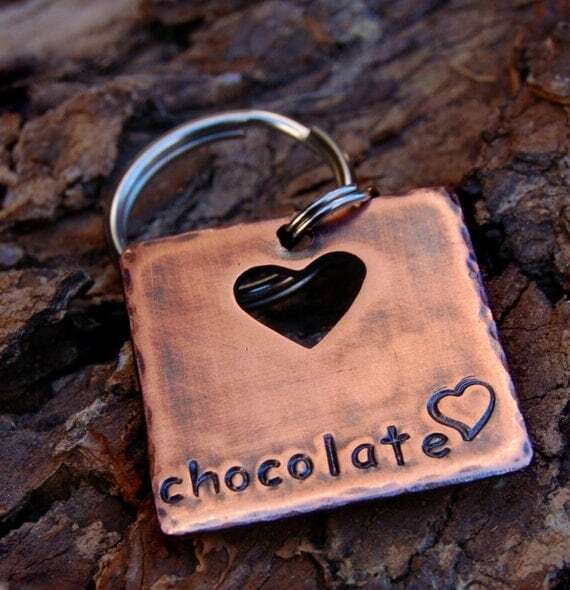 Beautiful Copper Pet ID tag from Dawg Town. I love these note cards from Studio Flower Power. They are made with real flowers! 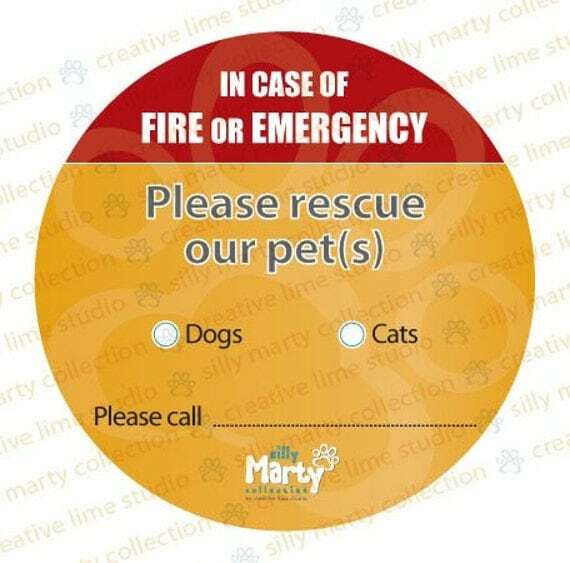 A Silly Marty safety sticker to protection your pets during a fire or emergency. 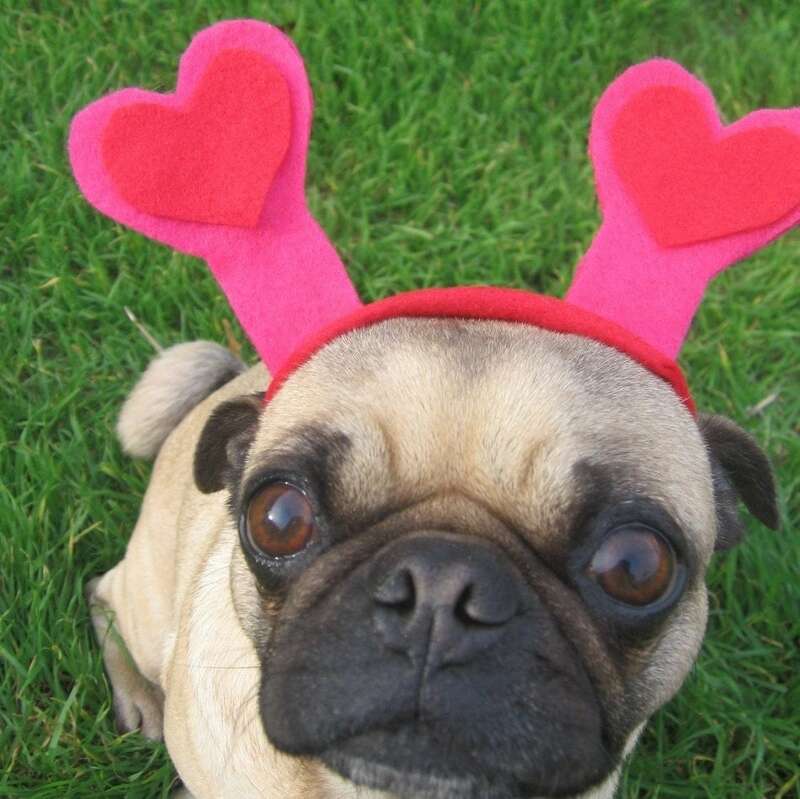 Ilickyou makes this very cute "Lover" Dog hat for your sweet dog valentine. 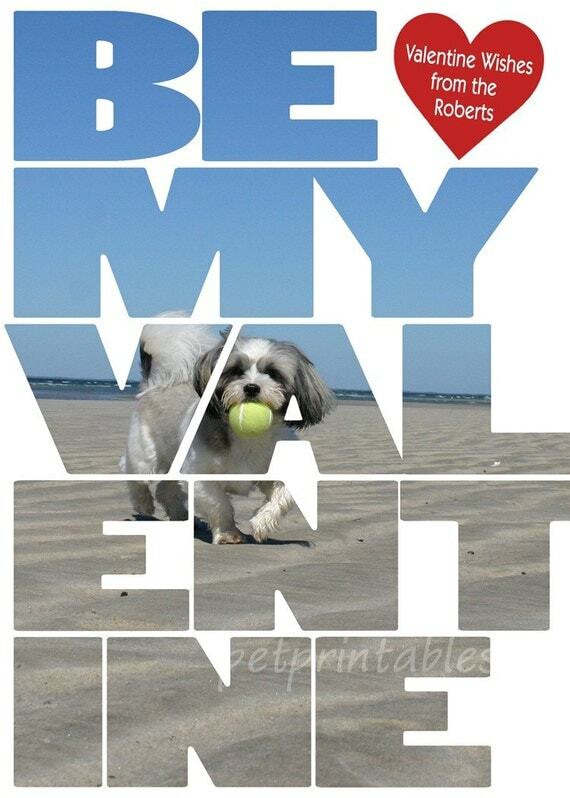 A custom valentine's day card (others cards available) showing off your Sweet Dog from Pet Printables. 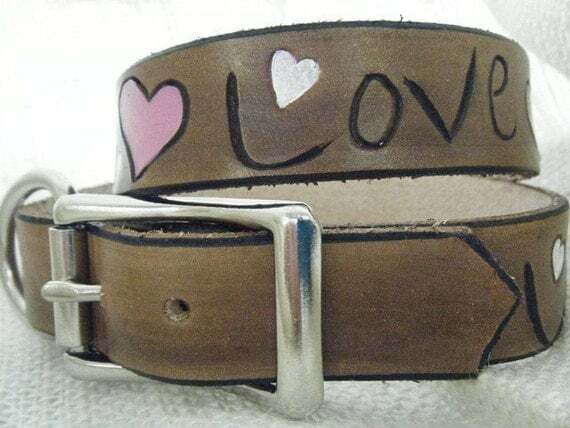 Geralyn's wonderful leather Love Dog Collar. Hey Debbie, I also know that sad feeling Moms get when we leave our sons. Lucky me, I get to visit one of our sons in a few weeks, but then I'll have to leave to come home. Oh well! I love the name you came up with for February! Glad you got to see Jimmy. WOW, UL texts? hm,.. should try that! 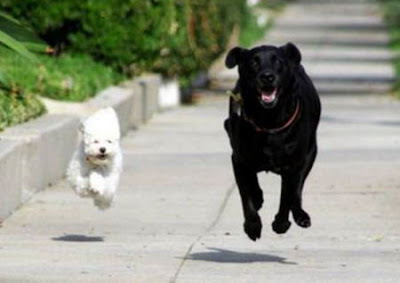 LOVE LOVE LOVE the dog in the red hat. I am "Godmom" to a couple of Boston's. May have to get that for them. Thanks for all of the wonderful ideas! 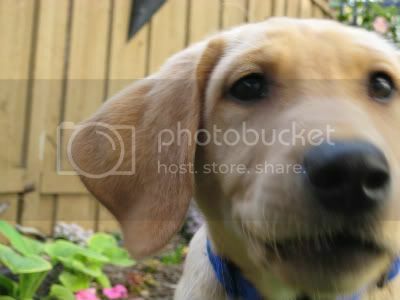 Love the post and your selection of ideas for your dog. 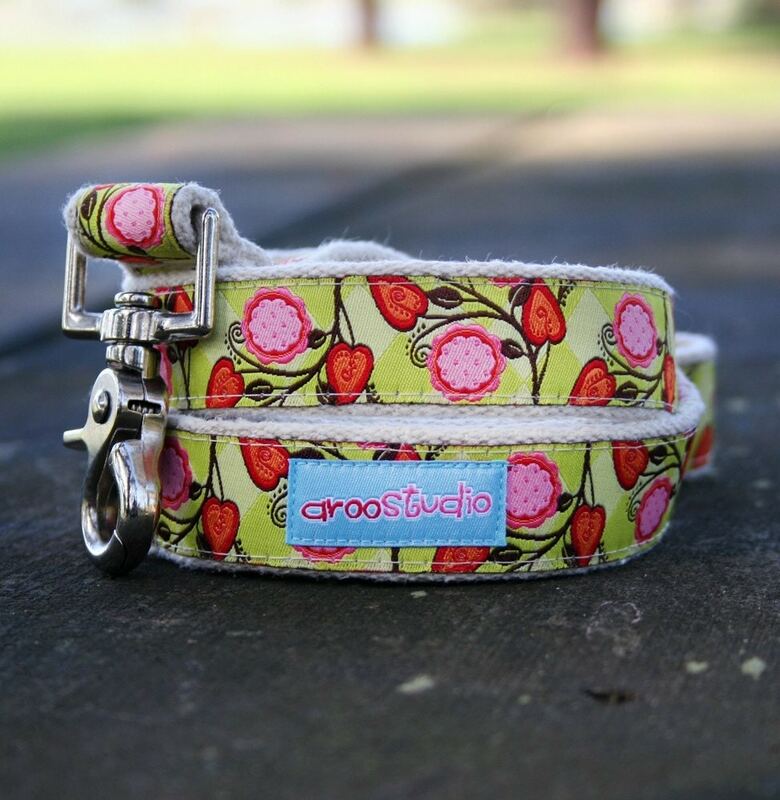 If you want to spice up the look of your dog in just seconds take a look at the designer dog collars at collars2switch.